I love this self portrait! Love his expression. How about you? 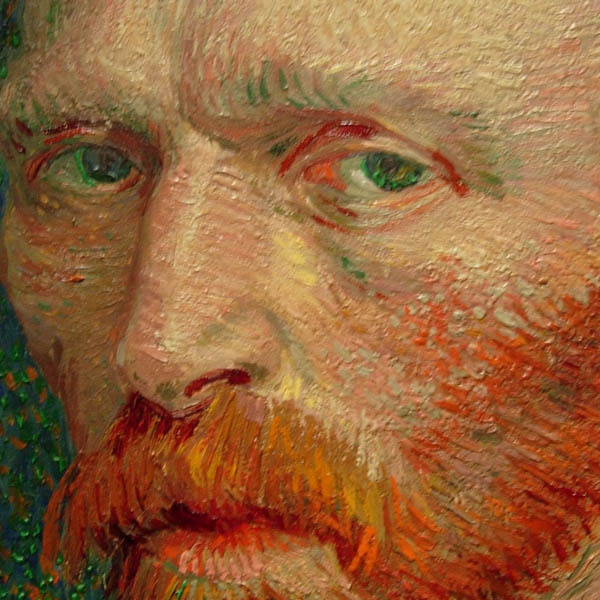 There are so many self-portraits by Vincent and this one called out to me to be synchronous with this powerful quotation! Thank you Janet! We painters have to stick together! It’s amazing how much color he got into this with those short choppy brushstrokes. Thanks for the closeup! Hi Beth, great to hear from you! You know many times I’ve seen Van Gogh up close in museums and I never ceased to be amazed at how controlled yet thick his work is. I know from experience its not so easy to do this. Amazing artist! He stole my heart when I was still a child, love the quote, and I think freedom is found in any life lived ignoring public opinion. He truly is a quintessential artist – for all ages. His process and life is that of each artist either lived out or aspired to! Thanks much for your visit and taking the time to write me! PS I especially like this quotation because I think daily about the push and pull of the modern avenues for bringing art to the world and how there is an undeniable pressure to follow the trends that will give you a voice. Most seductive and at the same time oh so dangerous! Having a voice, not your own, is really speaking for another rather than yourself.